Superhero movies might be big business now, but it’s easy to forget that the genre represented something of a poisoned chalice for filmmakers back in the ’80s and ’90s. That all changed with the 2000 release of Bryan Singer’s X-Men, a film that muted the multicoloured costumes in favor of illuminating the source material’s themes of prejudice and identity. It’s fair to say that Singer’s tangible, relatable world was vital in paving the way for Christopher Nolan’s dramatic reinvention of Batman. X-Men has always had its own unique flavor, though, standing out from the crowd by virtue of the fact it juggles blockbuster thrills with real-world sociopolitical concerns. Both are on show in Days of Future Past, and where the recent run of comic movies have all sported a similar visual aesthetic and narrative tempo (a gradual build to an entire city getting levelled in the third act), here there’s an intriguingly fresh hook: this is a superhero movie that deals with time travel. Using Chris Claremont and John Byrne’s Uncanny X-Men storyline as a springboard, Singer and screenwriter-producer Simon Kinberg have crafted a film that plays out across dual timeframes, allowing the original cast and their First Class counterparts to unite for one epic storyline. As a result Days of Future Past is a powerful cocktail of nostalgia and new frontier – quite simply it’s the grandest, most ambitious X-Men movie yet. War rages in a post-apocalyptic future as giant mutant-hunting robots pursue a ragtag group of survivors including Kitty Pryde (Ellen Page), Iceman (Shawn Ashmore) and Colossus (Daniel Cudmore). Joining forces with Professor Xavier (Patrick Stewart), Magneto (Ian McKellen), Storm (Halle Berry) and Wolverine (Hugh Jackman), they use Kitty’s powers to send Logan’s consciousness back into his younger body to change the course of history. The goal? Stop Mystique (Jennifer Lawrence) from assassinating Sentinels creator Bolivar Trask (Peter Dinklage), whose death and subsequent capture of the blue-skinned mutant sparked a fast evolution in Sentinel development. 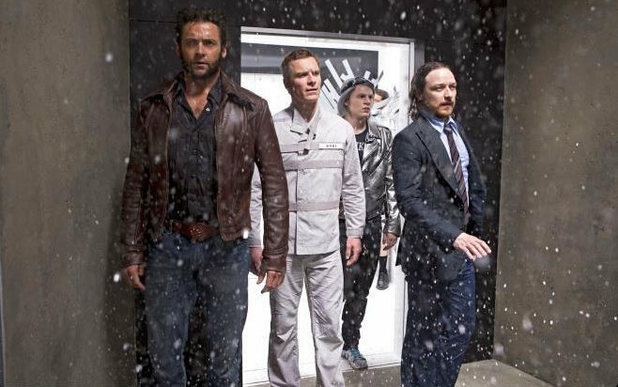 Wolverine must convince a down-and-out Xavier (McAvoy) to pull himself together, free adversary Magneto (Michael Fassbender) from incarceration and quell Mystique’s bloodlust. Much like its predecessor First Class, this sequel carves straight through world history, taking in the killing of JFK, the Vietnam war and Richard Nixon’s tenure in the White House. It’s broad in scope, too, clocking up air miles to rival even the most exotic Bond picture. All this globe (and time) traveling provides the backdrop for some action set pieces that out-do anything that’s come before in the series. Days of Future Past is a powerful cocktail of nostalgia and new frontier – quite simply it’s the grandest, most ambitious X-Men movie yet. There are shades of James Cameron’s bleak Skynet-ravaged Terminator landscape in the future sequences, which play out like an all-out science fiction war movie. Back in the ’70s, Singer keeps the pace quick and lively with Mystique the ticking time bomb about to begin a fatal chain of events. A thrilling skirmish in Paris and a levitating football stadium are just two of the highlights, while Evan Peters’s Quicksilver provides the stand-out moment with a jaw-dropping light-speed assault in the Pentagon. Stewart and McKellen are reassuring presences, but their scenes rely too heavily on our past experiences with them. Singer never manages to make the stakes feel high enough, with the bulk of their screen time spent gathered around a prostrate Wolverine while his mind roams the past. Halle Berry’s Storm is only a fleeting presence, while Anna Paquin’s Rogue doesn’t even have a speaking part. In truth, the movie belongs to the quartet of Jackman, McAvoy, Fassbender and Lawrence. Here the roles are reversed for Xavier and Wolverine with the former – disillusioned with society’s failure to accept mutants – needing guidance and help from his future protégé. It lends McAvoy the opportunity to grasp the film by the scruff of the neck and make Charles’s inner turmoil a key ingredient. Fassbender’s Magneto is more clear-eyed and focused this time around, unafraid to double-cross if it’ll get him closer to his goal. Strip away the spectacle and pyrotechnics, though, and this film is ultimately about Charles and Erik’s battle for Mystique’s heart and soul. Lawrence, as expected, is magnificent, the pain and anguish of being a perennial outsider is etched on her face throughout (even through the blue make-up). 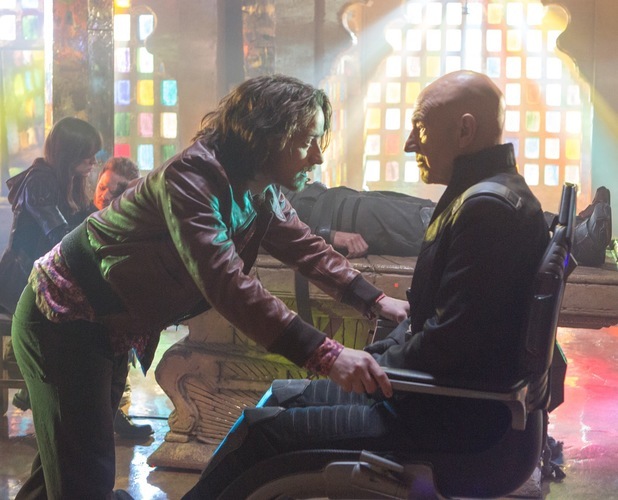 Where Days of Future Past ends up may not be entirely to everyone’s tastes, but judged on its own terms this is a movie that delivers excellent performance and brains to compliment its bang-for-your-buck spectacle.